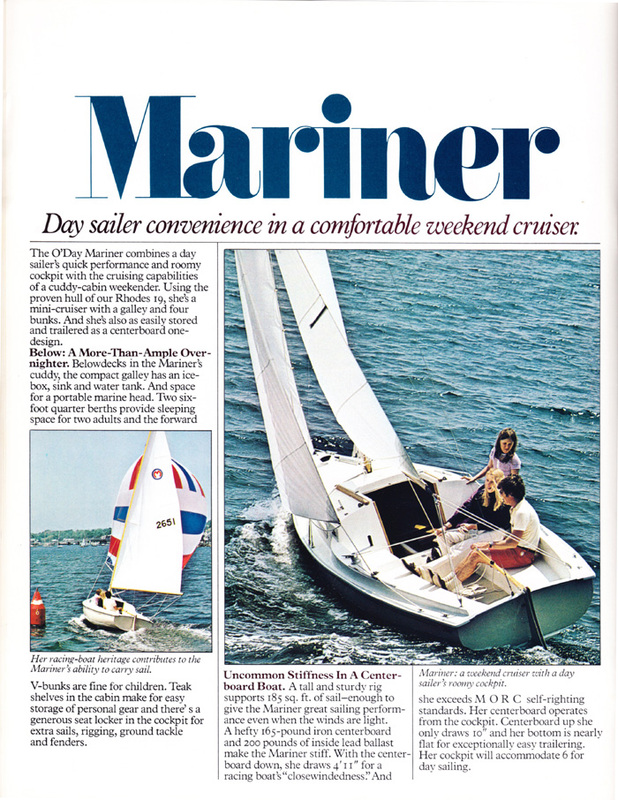 1977 O'Day Sailboats Catalog — O'Day Mariner #1922 "Orion"
This catalog, from my own collection, is 22 pages (many of their catalogs seem to be 22 pages). As the years went by, O'Day started concentrating on larger boats. They ended production of the Mariner only two years later. O'Day stopped pushing the "Gold Medal Fleet" pitch by 1977 and went back to clear-anodized spars; the boats pictured here still sport the gold-anodized spars as they were actually manufactured in previous years. 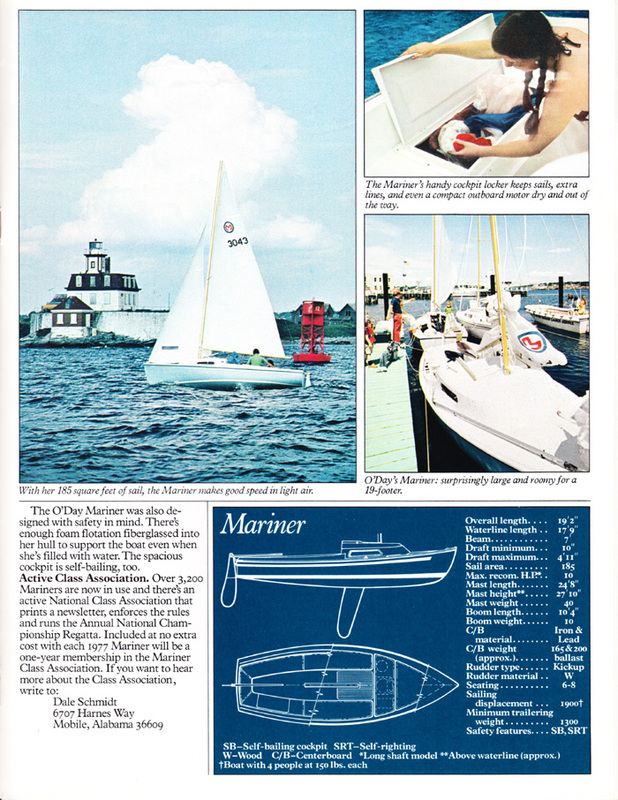 This particular catalog features all the boats manufactured by O'Day at that time. They include: O'Day 32, 30, 27, 25, 23, 22, 20, Mariner, Day Sailer, Javelin, Widgeon, and the O'Day 12.